Trailer condition is a critical step to check in preparation for loading, and will help to ensure a successful shipment. Trailer cleanliness prevents bacterial, chemical, and odor contamination of produce loads. 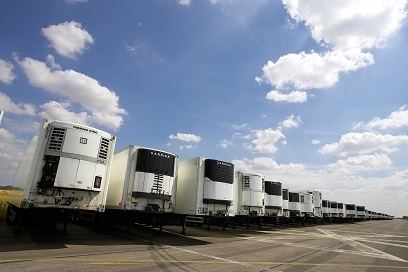 Many customers and shippers clearly specify trailer condition requirements in their contract terms, citing areas such as prewashing, presenting a prewash ticket, and eliminating odors as conditions the carrier must perform prior to loading. If these conditions are not met and the trailer is found to be unclean, in many cases the shipper will not load the trailer. Remove all loose debris and wash or sweep the floors clean. The floor drains and grooves should be free of debris so drainage will not be blocked. Many fresh fruits such as apples and bananas are highly susceptible to contamination by strong odors; these products easily absorb those odors. Thorough cleaning and airing of trailers that have previously hauled fish, cabbage, or other odorous products is necessary prior to shipping these products. Leaving freshly opened cans of ground coffee for 8 or more hours in a closed trailer may be helpful in absorbing odors. For additional odor absorption, some coffee grounds can be spread over the trailer floor and swept clean prior to loading. Carriers should refrain from transporting products leaving strong residual odors if they plan on hauling fresh produce that absorb odors soon after. The best way to guarantee that a trailer is sanitized and clean prior to loading it to get it washed out. Most locations will charge around $30 for this service, and will provide you with a prewash ticket as proof. The Allstays website offers a useful list of truck wash locations. Areas that may prevent your trailer from being loaded include rough or splintered sidewalls that may or may not have protruding nails or screws. Make sure none of these are occurring inside the trailer as they can tear containers and damage produce. Ensure that all wall liners are in good condition. Cracked liners provide housing for dirt and old food particles, which encourages microbial and insect infestations. Check all trailer walls. Walls that have been punctured by forklifts or that are broken at the seams can allow moisture to penetrate the insulation; this will reduce the trailers refrigeration effectiveness. Doors seals and floor drain caps should be checked regularly and be repaired/replaced as necessary. The mashed-end of a rubber cap on the floor drain tends to get clogged with debris, and crews at washout facilities sometimes cut them off. Dirt and air can be sucked into open spaces that are left by worn or cut off seals and drain caps. This adds to possible product contamination. Keep air chutes or ducts in place and make sure they are free of holes. Ducts are designed to distribute air so that the load is uniformly cooled. Defective or missing chutes or ducts will result in air short-circuiting back to the refrigeration unit over the top of the load. This often causes freezing on top boxes and hot spots in lower layers. Avoid delays or missed loads! 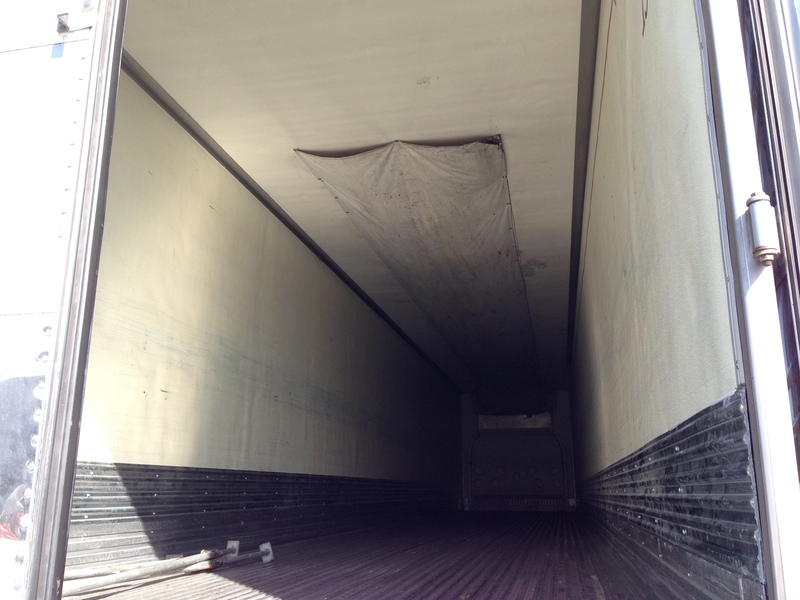 Make sure the inside of your trailer is clean, sanitized and properly maintained. 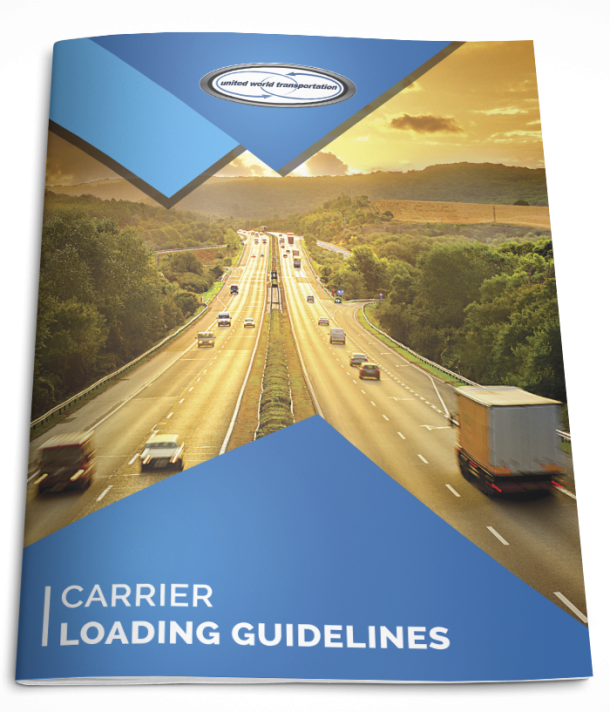 For more pre-loading and loading guidelines, check out UWT’s Carrier Loading Guidelines and Product Temperature Guidelines.